Double dip with 2 of the top Colorado adventures available, whitewater rafting and ziplining. Double dip with 2 of the top Colorado adventures available. 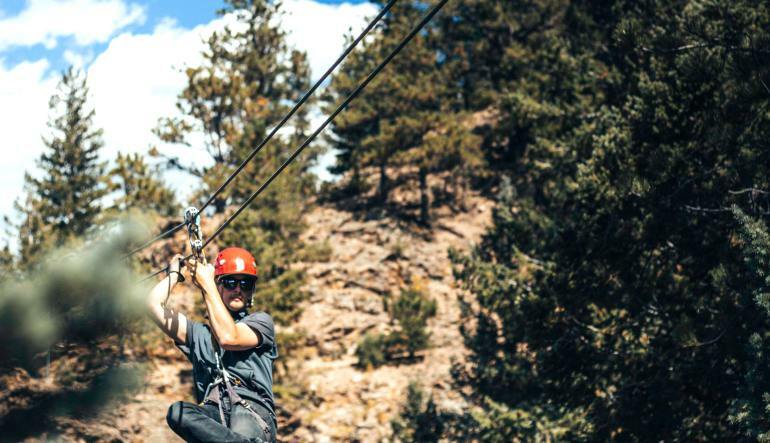 The first part of your day begins with a scenic zip line tour through 9 acres of dense pine and aspen forest where you will view mountain cliffs and zip over the Chicago Creek for a memorable finish. Next you will take a quick break for lunch (not included) and then you are off to the rapids. The whitewater rafting tour begins in Clear Creek where you will challenge 11 class II & III rapids tucked away in a unique scenic gorge on the creek. This package is perfect for families and paddlers of all experience levels! 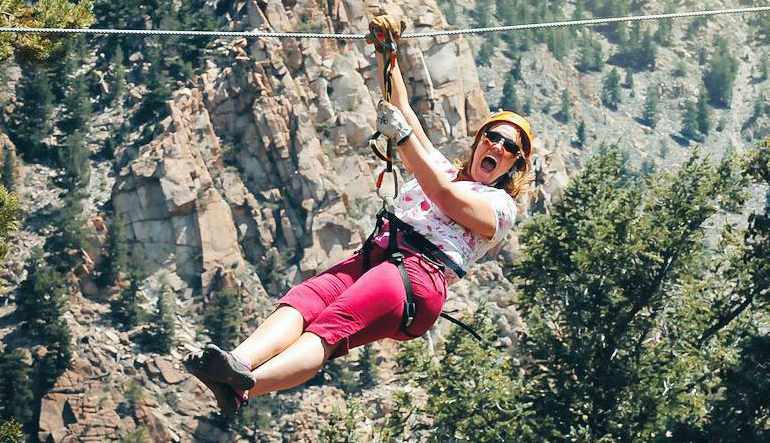 Idaho Springs Zip Line Tour: You begin your day flying from ridge to ridge over a forest of Douglas Fir and Ponderosa Pines. After descending down the mountain you will finish with an exciting 450 foot line running directly into the AVA backyard to begin your second half of the day’s adventure. Time for Lunch: After soaring through the air at speeds of nearly 30mph, take a breather and relax by the river while you get time to enjoy your picnic lunch or head into town for grab a quick bite. After your break, get ready for a whirlwind introduction to whitewater! 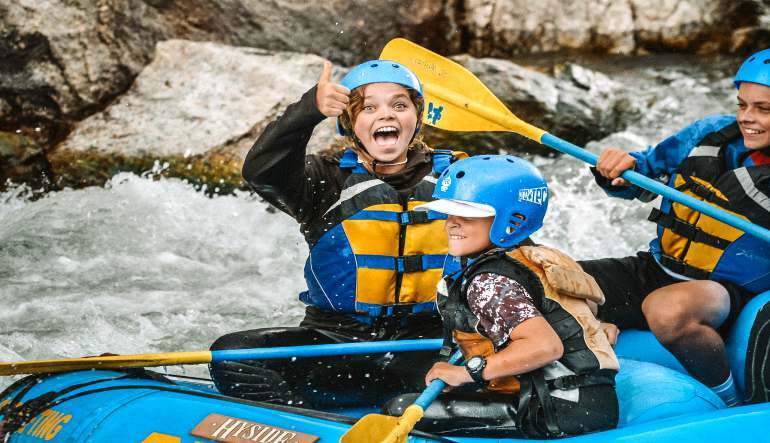 Gold Rush Rafting Trip: next up is your Clear Creek Beginner white water rafting trip perfect for all abilities from families on their first whitewater adventure to experienced adrenaline junkies. This one-third-day trip is a great introduction to whitewater.